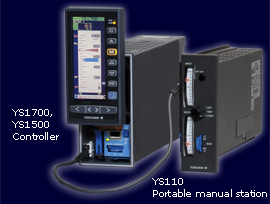 The YS1700 Programmable Indicating Controller can be tailored for various applications by running a user program, and offers high reliability thanks to Yokogawa's proprietary technology, user friendliness, and expandability. Standard models are smaller and lighter than earlier series, requiring less space for installation, and are compliant with international safety standards including the CE Mark and FM nonincendive (optional) approvals. For easy replacement of earlier controllers, models requiring the same panel cutout dimensions and depth as those of earlier models are also offered. 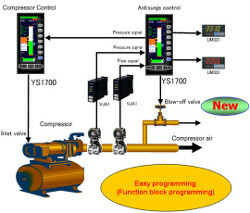 Function block programming: Besides the text programming compatible with earlier models, the YS1700 offers the new GUI-based programming method, function block program- ming. 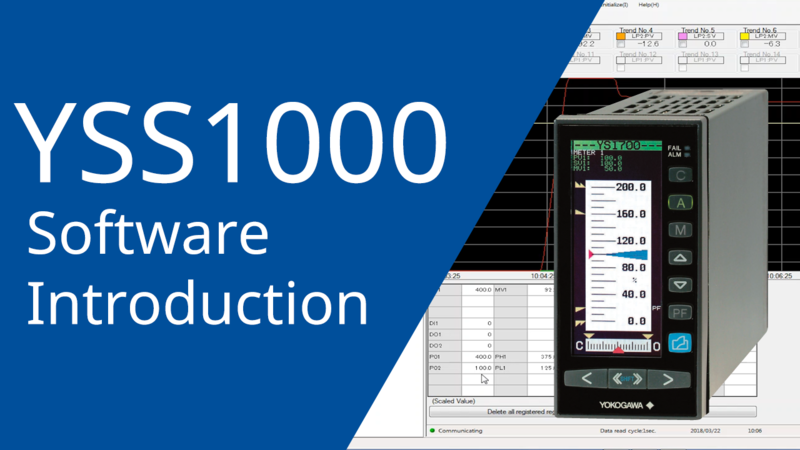 The optional YSS1000 Setting Software for YS1000 Series is used to develop user programs. 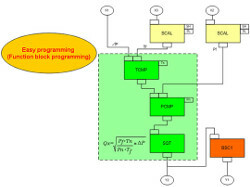 Large programming capacity: Program capacity is 1000 steps for a text program, and 400 modules for a function block program. More powerful control and calculation functions: IEEE754- format four-byte floating-point calculations enable actual values to be used in calculations. More than a hundred types of calculation modules are featured, including exponential and logarithmic functions, temperature compensation, and pressure compensation. 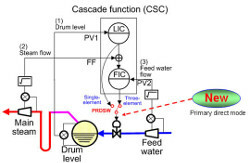 Function selection mode (needs no programming): The multi-function controller mode allows control to be selected from frequently used functions (single-loop, cascade, or selector control) without programming. Function assign- ments to digital and analog inputs/outputs (DIs, DOs, AIs, and AOs) can be determined by parameter settings. Expandable I/O: The basic type with expandable I/O has eight analog inputs, four analog outputs, ten digital inputs or ten digital outputs (total fourteen digital inputs and outputs). Programming is easier with our intuitive function block programming. The online module monitoring function allows you to confirm the performance while programming. Backwards compatible with existing YS170 users programs. 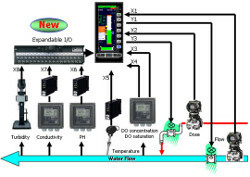 Increased programming capacity allows you to create more sophisitated control schemes. Support for YS1700 custom programming. Calculations done using Engineering units and Floating point math. logarithms, temperature/pressure correction, and other operations. Function blocks (sub-programs) can be saved and reused. 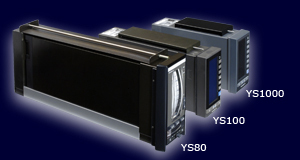 Additional I/O can be added by selecting the YS1700 basic model (with Expandable I/O). The total number of input/outputs points with the main unit and Expandable I/O are 8 analog inputs, 4 analog outputs, and 14 DI/DO. Note: An interface for the additional Expandable I/O cannot be added after delivery. If there is a possibility that extra input/outputs will be needed, we recommend that you start with the basic model (with expansion I/O). With peer-to-peer communication, up to 32 YS1700 can be connected interchangeably. Four of the connected instruments can each output 4 points of analog data and 16 points of status data. This makes data exchange and I/O sharing possible since all instruments under peer-to-peer communications can read all data (16 analog and 64 status data). 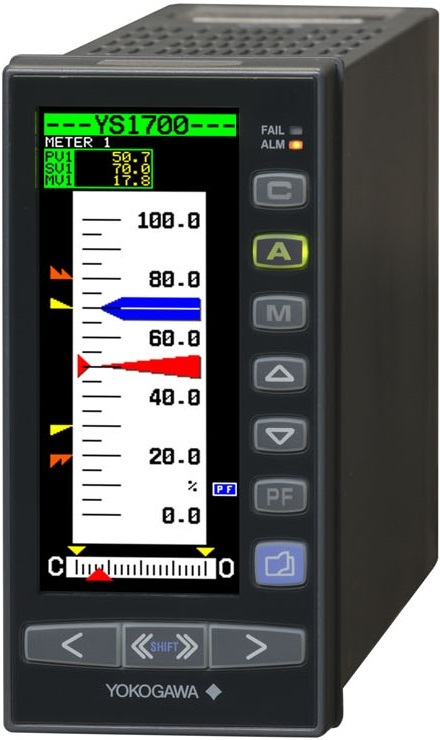 With a user program, the program function key (PF key) on the instrument’s front panel can be used as an ON/OFF switch for self-tuning, or as a Start button for sequence operation. 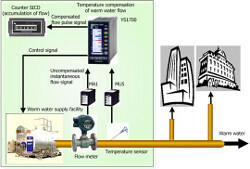 In district heating/cooling and other systems, signals from flow meters can undergo temperature compensation in a totalizer to measure usage of warm water and other quantities. Here we give an example of how to perform temperature compensation of flow using the YS1700 Single Loop Controller in place of a dedicated totalizer.